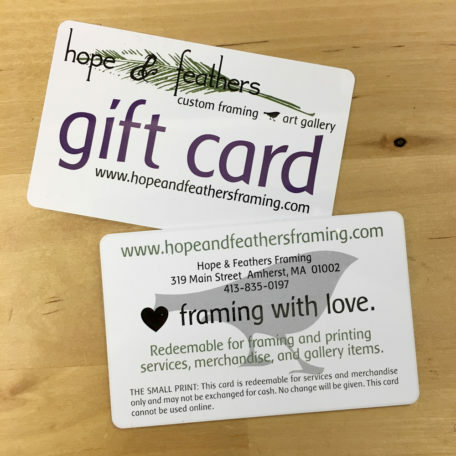 Give your favorite person a Hope & Feathers gift card! Can be used both online and in our brick and mortar store. Available in any denomination! Can be used for framing, printing, and art! IMPORTANT: Recipient will be emailed the gift card automatically upon purchase.